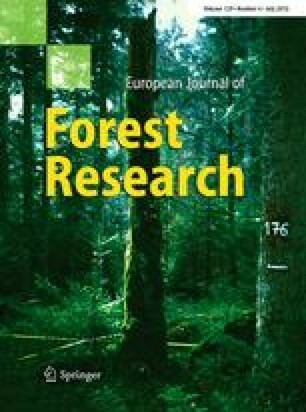 In this paper, a literature overview is presented on the use of laser rangefinder techniques for the retrieval of forest inventory parameters and structural characteristics. The existing techniques are ordered with respect to their scale of application (i.e. spaceborne, airborne, and terrestrial laser scanning) and a discussion is provided on the efficiency, precision, and accuracy with which the retrieval of structural parameters at the respective scales has been attained. The paper further elaborates on the potential of LiDAR (Light Detection and Ranging) data to be fused with other types of remote sensing data and it concludes with recommendations for future research and potential gains in the application of LiDAR for the characterization of forests. We would like to thank COFORD (the Irish National Council for Forest Research and Development) for funding the FORESTSCAN project, through which this research was made possible, and two anonymous reviewers for their constructive feedback.